A modern HTML5 bootstrap admin template to create any type of administration panels. 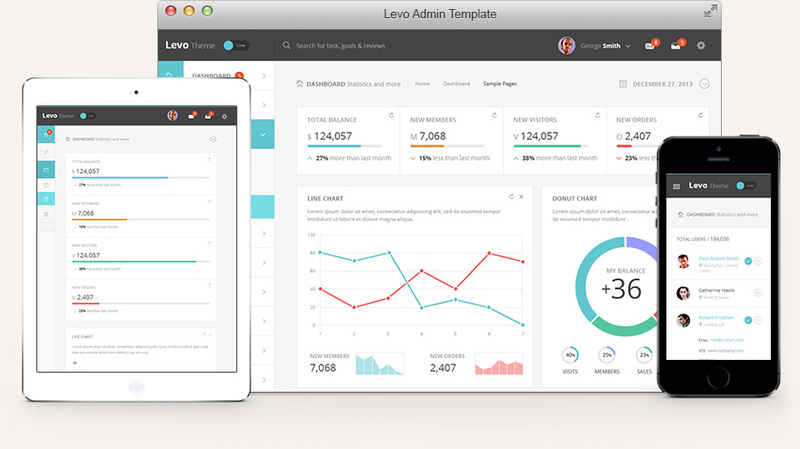 Levo is a very modern and beautiful dashboard design with everything you could need to create subtle and striking admin panels. Based on Bootstrap 3x, SASS & PE fonts. We decided to base our admin templates on the latest version of the popular front-end framework Bootstrap. We also included our 7 series custom icon fonts and a SASS project for the CSS.